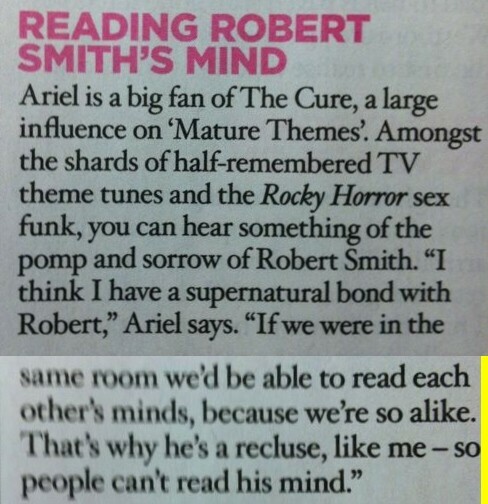 Ariel Pink (@menopausemen) talks to NME about his supernatural bond with Robert Smith. 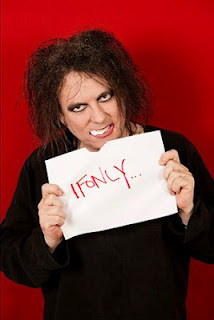 Arte Live Web has finally posted the 6 videos that Robert picked for broadcast. Happy that he picked 6 that weren't included in the original webcast. 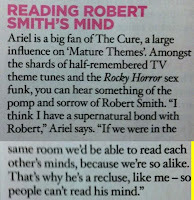 From the NME 60th anniversary special issue (and this is apparently the only Cure content in the entire thing) - Robert Smith talks about 'Crystal Castles' by Crystal Castles.